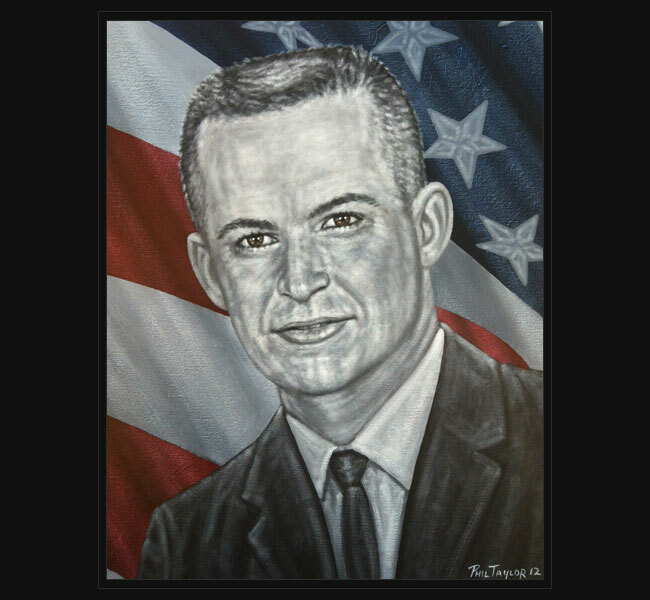 Army CPT Jimmy Mac Brasher died September 28, 1966, when his OV1B Mohawk airplane was lost over water off the coast of North Vietnam. Army PFC Robert E. Pittman was also aboard the aircraft and lost his life that day. With CPT Brasher piloting, he and PFC Pittman departed the Hue/Phu Bai airstrip on a reconnaissance mission. After a warning was broadcast that a Surface to Air Missile (SAM) had been launched for the area where Spud 19 was located, the men headed seaward. At this time, radio and radar contact was lost with Spud 19. It is assumed that one or more of the SAM missiles launched that night hit the aircraft about 40 miles due east of Phuc Loi in the Gulf of Tonkin and that it crashed into the sea. No trace of the plane was ever found and both men were declared killed in action. Jimmy was born April 9, 1941 in Plainview, Texas. He was a man of faith and was married at the time of his death. Jimmy was enlisted as Fixed Wing Aviation Unit Commander through Active Guard Reserve in the Army. CPT Jimmy Mac Brasher, tragically, is among nearly 2500 soldiers who did not return home at the end of the war in Vietnam. Missing OV1 aircraft crew from the 131st Aviation Company represent well over half of those lost on OV1 aircrafts during the Vietnam War.